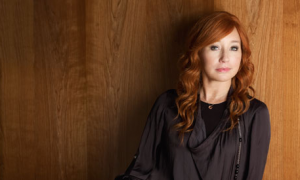 Update: Tori Amos adds a second Olympia Theatre date. Tori Amos has announced a fully seated concert at Dublin’s The Olympia Theatre. The show will take place on May 7th. The American artist has also announced the release of her 14th studio album titled “Unrepentant Geraldines”. The album will be promoted with a tour kicking off in Dublin, with dates in London, Paris, Berlin, Moscow and other major European cities. Tickets for Tori Amos at The Olympia Theatre, priced €39.09, go on sale Friday, November 29th at 9 AM.